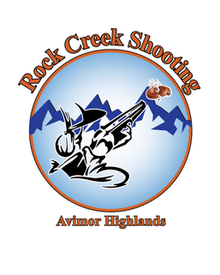 This league is managed by the owners of Rock Creek Shooting located at 11300 Pearl Road, Emmett Idaho 208-391-7499 rockcreekshooting.com. The purpose of the league is to provide fair and competitive sporting clays shooting to all shooters of all abilities from novice to veteran. It is also designed to promote sportsmanship and the proper use and safety of firearms. The league will be operated on both individual and Team Competition. Scoring will be based on total targets broken plus a registered handicap scoring system. The league will be operated within the rule parameters established by the National Sporting Clays Association. League Start Time: 3 P.M. - Shooters last Call to be on the course 1 hour before dusk. 7 Person Teams: The best 5 scores of the 7 person team will be used as the weekly team score. Scoring System: Scoring will be based on a scratch score plus handicap for total score. Shooter and Team score will be posted weekly on web-site published by Shooters Post software. Weekly League score is based on 50 birds. If a shooter misses a Thursday shoot, they have thru the following Thursday to do the make up. Team Captain: Each team must have an assigned Team Captain, who will be responsible for setting and maintaining their Team Members. Basic Rules: The Safety Rules posted by Rock Creek Shooting must be followed at all times. Sponsor Fee: $100.00 Per Team Sponsor fee must be paid upon registration. Sponsor fee used for trophies and end of league party. Shooter Registration: $10.00 Per Shooter for the 8 week league. Clay Charges: Member Classification Rate or Non-member rate. End of League: End of League party hosted by Rock Creek Shooting will be held with awards, food, beverage and shooting.